California's new renewable energy target, proposed by Gov. Jerry Brown during his inaugural address in January, is not only achievable: It would result in as much as $51 billion in annual savings for the state's residents, according to an analysis by Strategen Consulting that “quantifies the economic and societal impacts” of the governor's proposed goals. Ahead of schedule when it comes to meeting a current goal of sourcing 33 percent of electricity from renewable sources by 2020, Gov. Brown proposes raising the state's Renewables Portfolio Standard (RPS) target up a big notch – to 50 percent by 2030. Strategen's analysis, contained in a report entitled, Impact Analysis: Governor Brown's 2030 Energy Goals, “provides convincing evidence that the governor's plan is economically sound, environmentally beneficial, and achievable,” the new energy consulting company states in a news release. According to Strategen's analysis, realizing Gov. Brown's proposed new clean energy plan would create 1.2 million job-years of employment in construction, manufacturing, sales, service and support across California's energy infrastructure sector, along with a boost in economic activity resulting from energy savings. “The associated reduction in pollution,” moreover, “will save lives, reduce healthcare costs and improve the quality of life for all Californians,” Strategen asserts. Significantly decreased vulnerability to volatile fossil fuel prices, along with enhanced grid efficiency, reliability and resiliency thanks to renewable resources backed by energy storage. "This analysis describes in clear, quantitative terms how Gov. 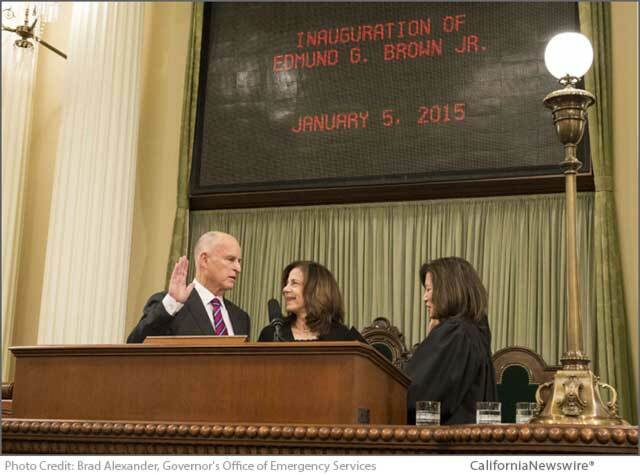 Brown's vision will translate to an enormous benefit in so many areas critical to public health, economic stability, energy security and quality of life," Strategen Consulting founder and managing partner, Janice Lin, was quoted as saying. “We already have the advanced technologies and technical capabilities, which when combined with legislative and regulatory support and backed by forward-thinking investors, will propel California to a global leadership position in energy sustainability and independence." Strategen lays out a long-term strategy that, among other things, entails taking advantage of “innovative grid strategies and technologies” that state policymakers could use to craft policies capable of realizing the goals set out in Gov. Brown's new plan. “Many of these technologies are available today, with some being developed in California. All are rapidly descending the cost curve, including solar, energy storage, wind, LED lighting, and electric vehicles (Evs),” Strategen points out. An experienced, independent journalist, editor and researcher, Andrew has crisscrossed the globe while reporting on sustainability, corporate social responsibility, social and environmental entrepreneurship, renewable energy, energy efficiency and clean technology. He studied geology at CU, Boulder, has an MBA in finance from Pace University, and completed a certificate program in international governance for biodiversity at UN University in Japan.